Children at the age of 7 years old are starting into a new type of book. These books include chapters and fewer pictures. They are able to pay attention for longer periods of time and are able to develop their own set of interests. Reading at this age is so very important and as parents, we need to provide them with books that are perfect for their reading ability. We have created a list of the Top Books for & Year Olds. These books are designed for their age bracket and will spark their interests and keep them wanting to read more. The list below has been updated to reflect the books that are available to 7 year olds. The books are great for developing and advancing their reading skills while keeping them engaged. Did you ever wonder how kids come up with all of those crazy facts that they seem to pull out of thin air? Well, we’ve found out their secret and it’s a pretty great one. 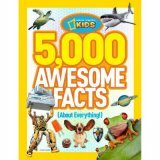 5,000 Awesome Facts (About Everything!) by National Geographic is the kid’s gateway to knowing just about every random, cool fact there is to know. It’s a really fun read with a lot of crazy-sounding facts including some that may even be a surprise to you! This book is perfect for those rainy days or even to pull out during a quiet reading time in class. Seven-year-olds will get a kick out of learning about virtually everything while absorbing facts about things they wouldn’t have learned about otherwise. Random facts seem to always be the one thing that will hold a child’s attention and at seven years old, everything becomes fascinating. This book is full of fun knowledge that awaits your child with stunning pictures and easy-to-read wording. Books can be educational as well as entertaining if you find the right one that will hold a child’s attention. 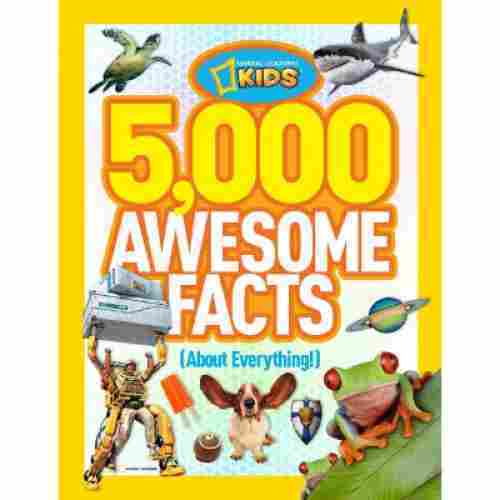 Reading at a young age should be fun and that’s exactly what your child will get while they’re learning 5,000 facts about the world around them. In the digital age of simply “googling” something, this fact book takes kids back to the days of encyclopedias but does it in a much more fun and creative way. 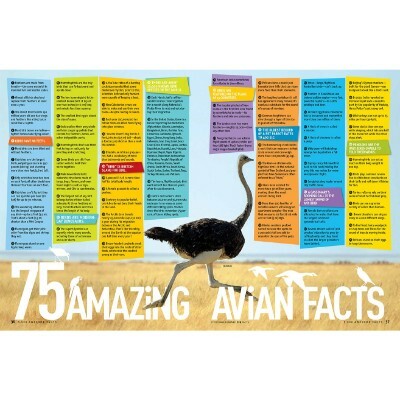 With plenty of vibrant, colorful pictures and easily-read fact pages, your kids will be naming off interesting facts in no time. We always teach our kids early in life to be all they want to be and to follow their dreams. For some of us, we can even be poetic about it and tell them that their stars are just waiting for them. 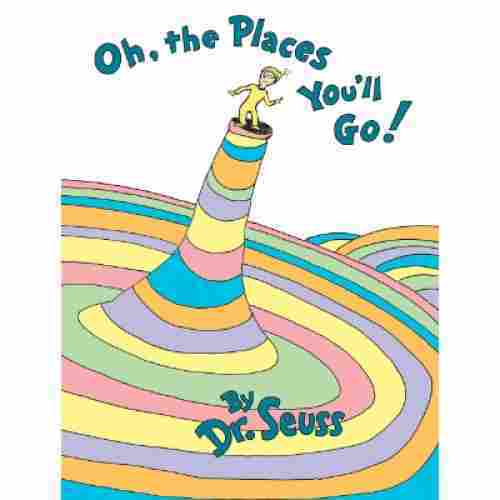 But if you really want to encourage your child to be all he or she can be, then Dr. Seuss’ “Oh, the Places You’ll Go!” is a must-read. It’s a literary piece written in prose that strongly encourages readers, young and old, to find their own successes while weathering life’s stormy seas, coming out alive and well after the storm, and sailing safely through to continue with one’s voyage. 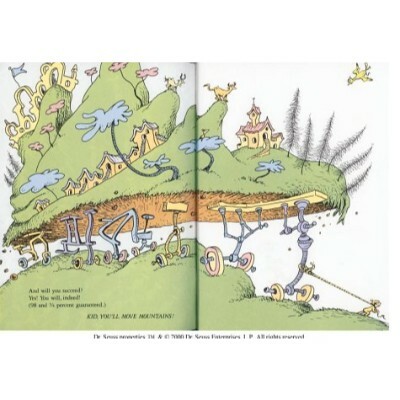 The book addresses life’s ups and downs, delivered through humorous verse and fantastic illustrations that only Dr. Seuss can magically concoct. Life may be a balancing act but there’s always time for a bit of fun. With the whimsical illustrations that are a hallmark of Dr. Seuss, this one will delight and surprise your child with witty rhymes while touching on a universal truth. It’s central theme of discovering your own inner strength in the face of adversity is a lesson we all must learn, and the sooner the better! Technically, the book is a perfect read for anyone who is going through difficult changes as well as those who are about to embark on a new journey in their lives. Considered a classic amongst Dr. Seuss fans, this book has a simple message that very young readers can comprehend; life may be difficult at times, but there is always a reason to smile! The #1 Best Seller in Children’s Classics on Amazon, there is good reason why it has become such a beloved book. Forming friendships is one of the most essential elements to healthy social development. And the E. B. 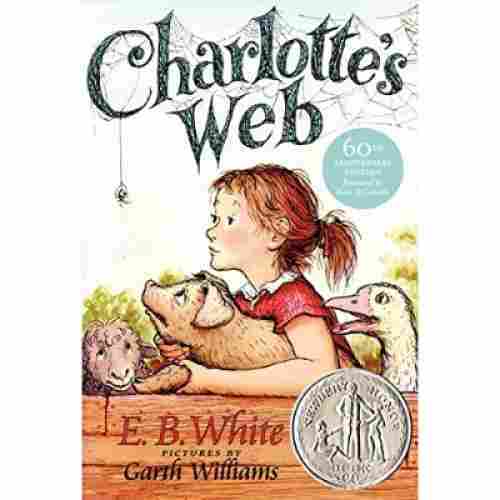 White masterpiece, Charlotte’s Web, is never amiss of pointing out this fact to whoever reads it. Follow Wilbur who’s only longing is for a friend he can call his own and who will also accept him for who he is. Cherish Fern’s love for Wilbur and make it as the cornerstone of your kid’s own love for his or her parents and friends. Being able to have compassion for other beings, or to be able to put yourself in someone else’s shoes, is a key message of “Charlotte’s Web’’. With a story that is both heart-rending and poignant, it conveys the importance of helping others who may be different than ourselves. Teaching about humility, love, and friendship, the book is a great read for many generations as it depicts some of the most enduring themes that everyone else experiences throughout their lifetimes. Featuring amusing talking animals, the story is also about the unlikely friendships we can form on our journey through life. This story is a great way to teach your child about empathy. 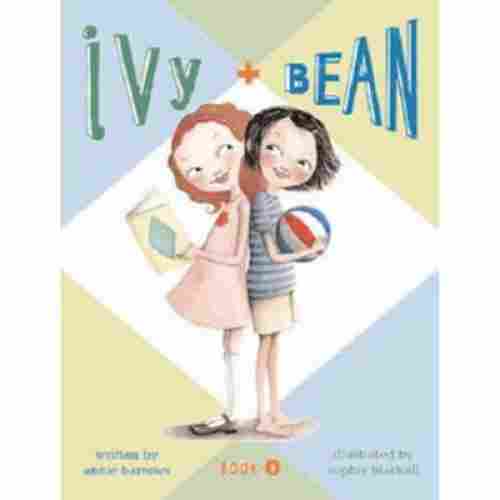 Ivy & Bean is a story that some of us can actually relate to. The best friend we yearn for can actually come from the least likely people in our lives. We’ve heard of sworn enemies ending up being the best of friends. 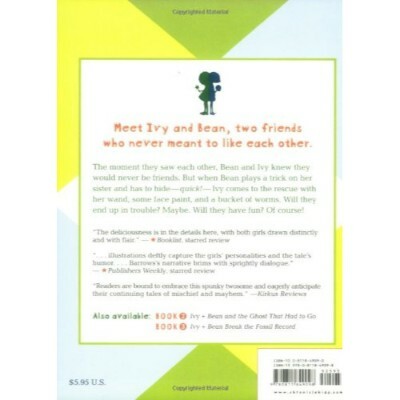 Annie Barrows wonderfully tells the story of two young girls, Ivy and Bean, who clearly don’t like one another. Yet, when Bean needed some help, she had one from the person she least expected to help her, Ivy. Some of the closest friendships in our lives can be the ones we never thought possible. Whether someone is completely different from us or we simply don’t get along, there can be many reasons why we don’t bother to reach out. For children, it is important to realize that we really cannot choose our friends. Only time will tell who deserves to be called as such. The girls eventually discover they have more in common than they thought, which results in a special friendship. From one of the number one selling authors and a series that has been marked as one of the bestselling chapter books is a box set that will keep your 7 year old reading and laughing for hours. This is of one of the all-time classic favorites of classrooms all over the county for over 20 years. There are over 60 million copies that have been sold of this series and now the cover has a new look for the new generation. 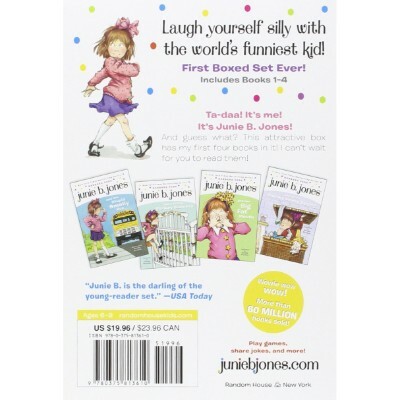 The set includes the first four books of this series, Junie B. Jones and the Stupid Smelly Bus which is the first book, then Junie B. Jones and a Little Monkey Business which is the second, then Junie B. Jones and Her Big Fat Mouth and the Junie B. Jones and Some Sneaky Peeky Spying which are the third and fourth book of the series. This series of books is a wonderful way to start a collection for your 7 year old of chapter books. 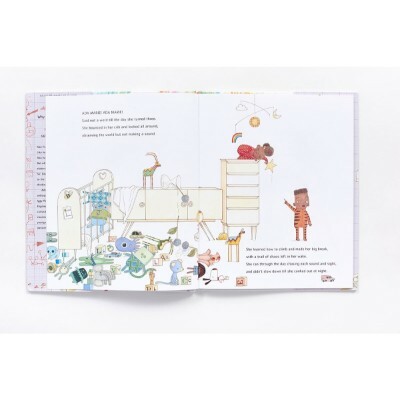 The books have humor and tell of stories that children can understand. Make for a great teaching opportunity. Reading has a ton of benefits for kids. Actively reading every day is proven to expand vocabulary. The more kids read the more words that they are able to gain access to and then the words will be able to make their way into their everyday vocabulary. Series of books like these ones actively keep kids reading and engaged allowing them to expand their vocabulary with a daily dose of laughter. They make a great series for a little reader that is just starting out or an avid reader who is looking for an adventurous story series. They are sure to laugh out loud at the outrageous mishaps and the crazy grammar mistakes. It is a series that will leave everyone wanting to read more and more each day. Family is one of the most enduring things in life. Friends may come and go but the bonds of the family remain strong. 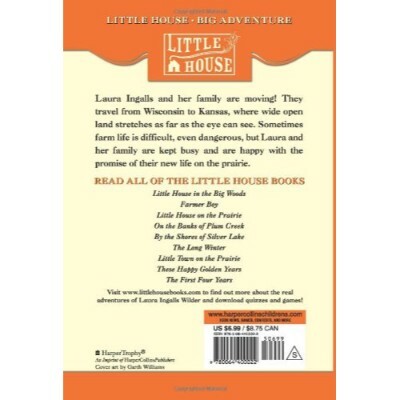 This is the message of Laura Ingalls Wilder’s Little House on the Prairie, documenting her family’s adventures as they moved from Wisconsin to Kansas. And as soon as the family has settled in and has begun cultivating the land, the sound of conflict looms in the distance. The family now has to decide whether to move or stay put. Without becoming too serious, the plot makes the point that there is always a reason to keep going and persevere. A families special bond is unbreakable, and can be our greatest strength. There’s no questioning Wilder’s storytelling abilities. But what is really amazing about the book is that kids will learn to appreciate the value of strengthening family bonds, that no matter what adversity they’ll face, they’ll be able to get through it. It’s a story that’s as endearing as any other. It’s heartwarming and provides a rare glimpse of what it’s like to live in the frontier times. Where can you find a book that has been inspired by Chinese folklore? Right here. This book is a novel about a young girl that has a life in a hut with her parents. The hut is a ramshackle hut that is less than desirable. She joins with her father in the evening to listen to stories of the old folktales. The stories tell of tales from Jade the Dragon and the Old Man on the Moon. The journey of the Old Man of the Moon inspires her to wonder how she could change the family current fortune. In the story, the little girl meets several different characters and magical creatures during her adventure. One of the best characters is a dragon that will ultimately help her through her adventure and her seek for the answer. 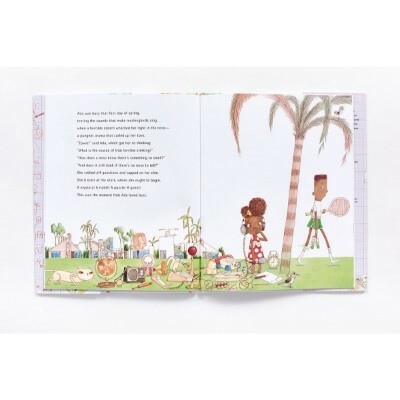 Through the illustrations and the full-color print, the text will guide the little reader through the story. They will find the charming story not only fun but engaging. Reading has many different advantages, but one of the more profound benefits is the effect on their memory. Reading books with stories of adventures like this one requires the reader to use their memory muscle. The muscle with more and more uses helps develop a great long term memory. It challenges the mind and creates a lifetime of healthy memories. Great story to read with the kids. It teaches lessons, promotes kindness, and talks of the stories from the past. The pictures really add to the story. This book is a companion story to the author's other stories; Starry River of the Sky and When the Sea Turned to Silver. It is a timeless story that displays a spirit of a little girl, who is adventurous, has faith, and shares friendships. The Chronicles of Narnia – The Lion, the Witch, and the Wardrobe is a classic fantasy that tells of the adventures of 4 siblings who discover a secret passageway into a magical kingdom that’s currently ruled by the White Witch. Mythical creatures await the return of Aslan to save them from cold and bitter enslavement. Unfortunately, a great sacrifice must be made to return one of the siblings to his kin and unite the four as one. It’s an enduring story of hope, perseverance, and sacrifice. And these are the essential concepts that 7 year old kids must learn to appreciate at their age. It is a story about choices and how we must learn to tell the difference between right and wrong. Likewise, it illuminates with perfect clarity the temptations we may face on our journey through life that are not always what they seem. A favorite of both kids and adults alike, this story has a wealth of valuable teachings within its pages. Although it can be more solemn at times than the other titles on our list, the depth of emotions the characters feel as they encounter strange beings in another world are palpable and genuine. There’s no denying the charm of the storyline especially with the sacrifices that everyone has to make in the name of a higher good. Such ideals may not be easily understood by 7 year olds but they’ll get the message. Super sleuths and fans of family-oriented narratives will be thrilled by the Alden children’s adventures. The series starts with four orphaned children making their new home in a boxcar and vowing to stick together. They solve various mysteries (150 books’ worth, to be exact), and along the way find their grandfather, who they believed to be mean, but turns out to be a kind and affluent old gentleman willing to take them in. He even moves their beloved boxcar into his backyard so that they can utilize it as a playhouse. First published in 1942, the books contained in this set (and a few thereafter) all take place in the 1920’s and 1930’s, giving kids the chance to dive into a different and exciting time period. 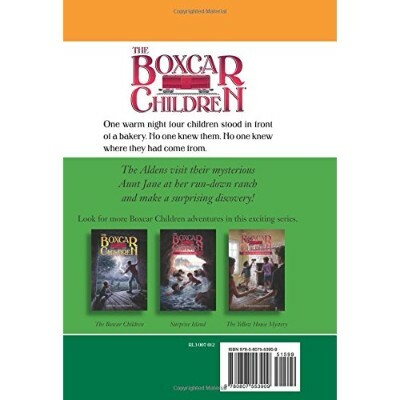 The Boxcar Children series features simple, exciting storylines. Mysteries need to be solved, which will help keep your child engaged as they work their way through the chapters. It’s always a treat to find a long-running series that sits well with your child. It means there’s something to go back to that you already know they’ll enjoy. 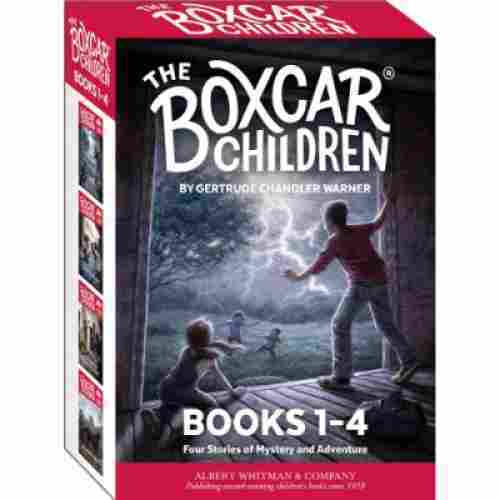 The Boxcar Children is the perfect series for kids looking for a little mystery and a whole lot of heart. These are slightly longer narratives, so good for children who are challenging their reading skills and imagination with some longevity. More recent additions to the series take place in the modern day, meaning that readers can take their pick as they work their way through. Join Henry, Jessie, Violet, and Benny on their travels as they put their minds together to close their cases. 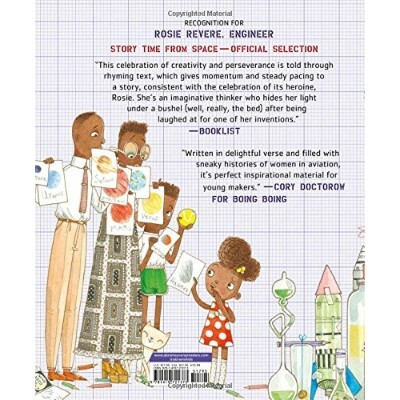 Ada is a brilliant young scientist who wreaks havoc in the lives of the adults around her as she makes her way through various science experiments. On the first day of spring, she notices something smelly outside and makes it her mission to discover the source. Using the scientific method, she develops a hypothesis and sets about some hilarious and wacky trial and error to uncover the mysterious scent. Shenanigans ensue, including an attempt to put a perfumed cat in the washing machine, a trip to the Thinking Chair, and an unsolicited mural on the wall. The text all rhymes in Beaty’s usual, upbeat style. Like the author’s other heroines and zany protagonists, Ada is charming, funny, lovable, and unique. Kids will identify with her curiosity and sense of adventure, as together they learn about all of the wonders of science. It’s nice to see books with diverse characters. Not many mainstream stories feature women or girls in scientific or academic roles, and even when they do, it’s often not young girls of color. 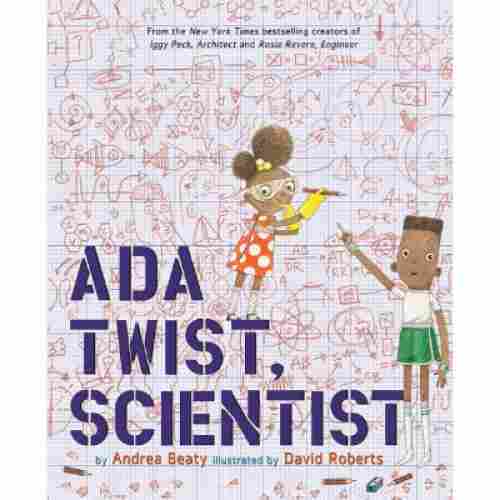 Ada is bright, funny, boisterous, and completely lovable, and this story rejoices in her ambition and sense of wonder. 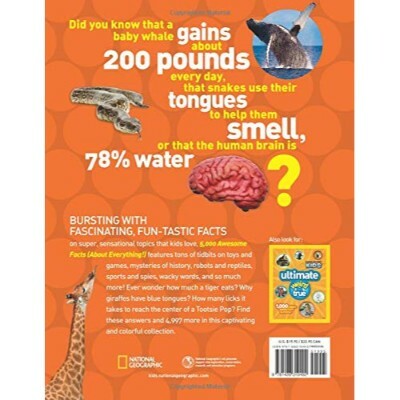 This book is a great way for kids to work on their vocabulary and reading skills, while also learning about science. It does a solid job of breaking down the scientific method into easier, simpler terms and steps so children can follow along. Children’s literature is an ever-growing niche, with hundreds of new books being published every year. It can be overwhelming to try and wade through all the titles, not knowing which ones are worthwhile. The result is that many parents have chosen to go back to some of the classics from their own childhood, that have been around for decades and are still cherished by thousands of families. We wanted to highlight those books that have a timeless quality, whose message continues to be relevant despite our modern lifestyles. The books on our list have a reputation for enduring storytelling, and they will continue to inspire generations to come. Another important criteria for our list was finding books that had inspiring main characters. For children to get the most out of storytime, books should present protagonists that they can look up to and admire, who not only amuse them but also encourage them to be better people. The books on our list can inspire your 7-year-old to become a more active community member and to think critically about the effects their actions have on others. When they become engaged in the story and are given an example of how to deal with a troubling scenario, children are more likely to practice those positive traits in their own lives. The challenges a 7 year old must face are very different from adult challenges, but they can be just as stressful. This means that teaching children how to be brave and persevere must be done in a way that is unique to their understanding and life stage. At this age, kids are more responsive to visual stimulus and storytelling which gives them a way to interpret the world around them. This is why the books on our list are the perfect tools to begin familiarizing your 7 year old with the realities of life’s ups and downs. The magic of these stories is that the life lessons gained from them have the potential to stay with your child well into adulthood. Learning to be generous and share what you have can sometimes be a challenge for most kids, especially in their younger years. We knew it was important to find books that emphasized the benefits of sharing, and how it can enrich your life through new relationships. Several of the books on our list feature characters who demonstrate acts of benevolence towards others less fortunate, and this can set a powerful example for your 7-year-old. As we have already said, choosing the right and the best pieces of literature that is ideal for 7-year-old kids is never easy. However, in our ongoing commitment to provide you with a more meaningful selection, we knew that we had to share with you tips on how you can choose the right books for your seven-year-old kid. You may know your kid’s level of language and cognitive skills, but do you know what really interests him or her? It should already be a given that you truly understand what your child really wants as opposed to what you think he or she needs. Sometimes, we push our kids into liking something that they obviously don’t have any interests on. This can result in friction in our relationship with our kids. Instead, we can guide them in choosing interests that are largely beneficial for them. Regarding books, you can try learning about the most common genres of books that the average 7-year-old reads. You can then compare these with the interests of your child so you will have an idea of what book to get. It is important to reflect on your understanding of the developmental milestones of your seven-year-old kid. Like toys, it is imperative that the literature is written in a manner that is easy to understand at the cognitive level of children of this particular age. The idea is to make sure that your child will be able to read the book by himself or herself and will not have any issues understanding most of the words used. We do recognize the fact that different kids have different cognitive and language development skills. That is why it is critical that you make an accurate assessment of your child’s language abilities particularly his or her reading, comprehension, and grammar skills, among others. here are many genres of books that are considered ‘appropriate’ for 7-year-olds. We had to highlight the term ‘appropriate’ since there are no clear-cut guidelines as to what genre will suit any specific age group. This is due to the fact that children grow as individual entities, uniquely their own. Some may find picture books to be particularly interesting while others may find it boring. Nevertheless, you may want to try considering the following different genres of books that may suit your 7-year-old. Picture storybooks – Illustrations or graphics are used to complement and mirror the plot of the story. Typically, the pictures or illustrations provide a more dramatic effect to the reading experience. Traditional literature – These can include folktales, fairy tales, fables, myths, and legends which are stories that are often handed down across generations. These are invaluable bridges that connect the distant past with what we have today and the near future. Historical fiction ­– Stories that portray a particular time period, often to create interest and drama that is based on actual events, are typically called historical fiction. Modern fantasy – This is a very broad category of books that is often characterized by storylines and elements that are purely imaginative. Examples of these include Willie Wonka and the Chocolate Factory and Charlotte’s Web, among others. Realistic fiction – These are almost similar to historical fiction except that the stories generally allude to current events. Informational ­– These types of books are otherwise known as non-fiction and provide invaluable information for children. Generally, these are used to aid in academic learning. Drama and poetry – You may not like poetry and drama but these are important in teaching kids about writing styles, symbolism, metaphors, analogies, rhythm, literary devices, verse, and prose. Biography – Kids love reading about the story of another person as it provides them the opportunity to learn from the individual how choices, challenges, and opportunities can shape a person in real life. It should be written specifically for children to read on their own. The sentences must be short and simple; although advanced readers can benefit from longer sentences. The content should not be very lengthy; typically between 4,000 and 12,000 words is sufficient. It can include fantasy settings or even real-life settings. It includes a plot complete with setbacks; may include minor subplots. It should also be worth noting that kids of this age are very fond of mystery, humor, and adventure. It makes perfect sense if you’re going to choose a book that contains graphics or illustrations to aid in the understanding of the material. Sometimes, there are storylines that may seem complex to kids of this age. Providing illustrations will somehow drive home the point that the literary piece is aiming for. Besides, illustrations and graphics help reinforce your child’s object recognition, color awareness, and divergent thinking skills. Letting 7-year-old kids read rich, vivid, and highly detailed stories that are written for their age is crucial for the continuing development of their language, social, and cognitive skills. By choosing carefully reading materials that are appropriate in content and the manner of delivery, you can feel more at ease about your kid’s future as an avid reader and as a better person. q: Will my 7-year-old boy still like the book if the main character is a girl? Definitely! Although there is always a small chance that your child may not completely identify with the main character, whether they are a boy or girl will become irrelevant once they become invested in the story. The conflicts the characters must face, the illustrations and the author’s engaging writing style will all be more than enough to keep your 7 years old interested. q: I’m worried some of the more serious subject matter like death will scare my child. This is a common concern for most parents, and for good reason; the topic of death and dying is a controversial issue in the children’s literature community. However, there is a growing consensus among authors, parents, and teachers that breaking the ice on the subject is necessary for a child’s emotional maturity. 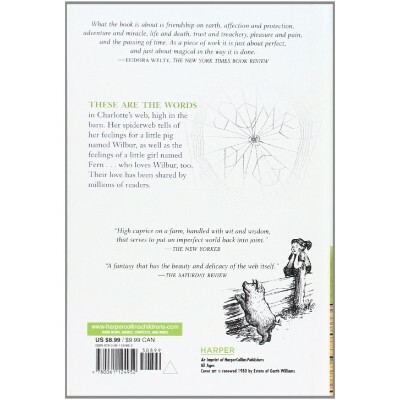 The books on our list that do deal with this topic, such as “The Lion, the Witch and the Wardrobe” present death in a way that is restrained and softened in order to minimize any reader distress. q: Will my 7 years old be able to understand the lessons in the book? Most 7-year-olds will be able to comprehend, at least to some degree, the main message of these books. The author’s expert storytelling and use of language ensure that the themes and plot will not be too complex for a child to understand. If your 7-year-old is confused on some points after reading the book, it is always beneficial to discuss the book with them in detail. Not only does this help clarify the crucial message of the story, but it’s also a great way to bond with your child. q: Which book will my child enjoy the most? This will mainly depend on the personality of your child, as well as your observations of their likes and dislikes. Do they love animals? Read them “Charlotte’s Web”. Are they more interested in the illustrations with minimal text? Then any of the Dr. Seuss books on our list would be perfect. Likewise, if your 7-year-old is fascinated by castles and far away lands, then try “The Lion, the Witch, and the Wardrobe”. The great thing about our list is that no matter what book you choose, your child is bound to find something about it they enjoy. q: Which book is the most realistic? 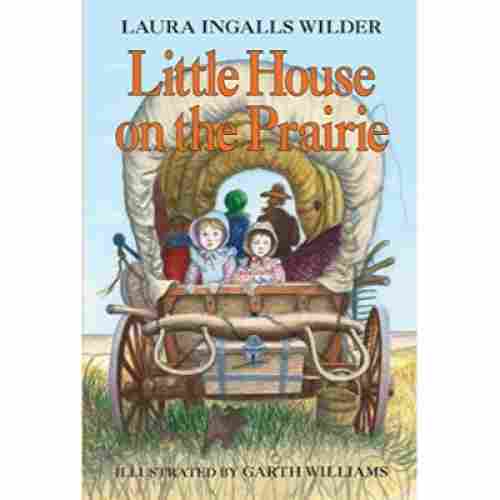 If you are looking for a story that is more concrete and will give your child a true sense of the outside world, then out of all the books on our list, “Little House on the Prairie” is your best bet. The fact that it is based on true events and narrated from a child’s point of view are the two things that make this book not only compelling but a lesson in history as well. No fantasy here; the real struggles of a family as they try to make a life for themselves in a new land are told with an honesty that immediately draws you in. q: Which book has the most colorful illustrations? If you’re not so worried about the message of the book or its central theme, and you’re just after the whimsical and amusing pictures, there are several excellent options on our list. Again, any of the Dr. Seuss books are guaranteed to delight and intrigue with their vibrant colors. “Charlie and the Chocolate Factory” is another attractive choice because of its strange and fantastical images that enhance the story. The illustrations in “How the Grinch Stole Christmas” are always funny because of their cartoon-like appearance, something that any 7 years old can appreciate.